Miami made. is a membership organization consisting of Miami’s top founders. 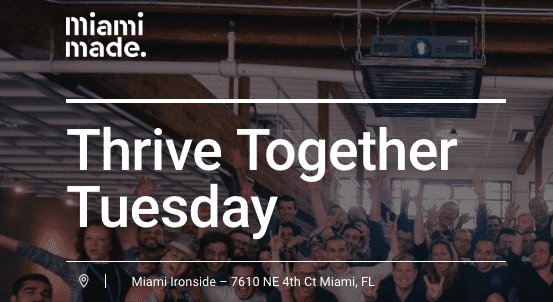 Thrive Together Tuesdays is an intimate gathering of the best founders in Miami who are not only building great companies, but interested in giving back to fellow founders and being part of our local tribe (founder family). THE GOAL: Together we co-create a support system you need to not just survive, but THRIVE! We combine digital detox, healthy breakfast, morning meditation, authentic discussions and value add networking. Every month, we will explore personal, business and ecosystem growth opportunities, so we can all thrive in our lives, our startups and help make the magic city of Miami the premier place to win together. Events are for members-only, but if you have not attended a Miami made. meeting before and have received an invite, we invite you to be our complimentary guest and attend your first event to experience it for yourself. 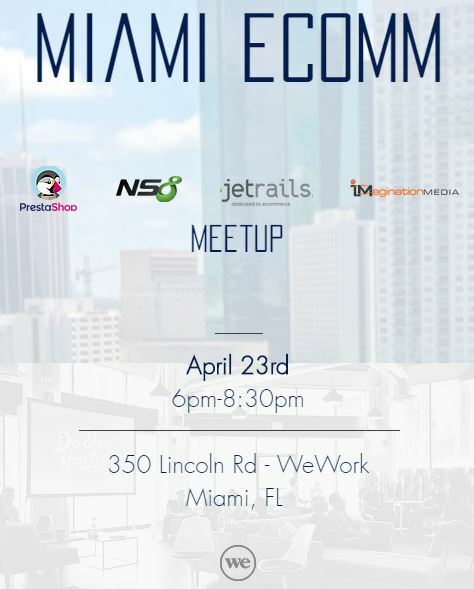 Miami made’s mission is to build a collaborative startup ecosystem that supports and celebrates South Florida’s best and brightest entrepreneurs. Learn more at miamimade.org or come to an event for free. We are proud to be Miami made.